Fans of “American Idol” and “One Tree Hill” — take notice. On August 28, the Parx Casino’s Xcite Center will host a special twin-bill featuring co-headliners Phillip Phillips (“American Idol” winner) and Gavin DeGraw (who wrote the theme song for “One Tree Hill”). 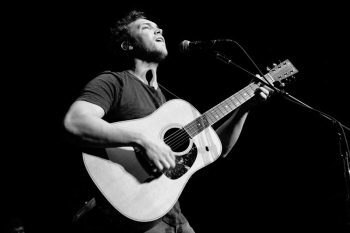 Doors for the show will open at 6 p.m.
Phillips is an American singer and songwriter who won the 11th season of “American Idol” in 2012. His coronation song, “Home,” released after his win, became the all-time best-selling song from “American Idol” series. His debut album “The World from the Side of the Moon” was released in November 2012. His second album, “Behind the Light,” was released in May 2014 and his third album, “Collateral,” was released January 19, 2018. Ever since his success on the TV contest show, Phillips has taken his expansive brand of earthy, guitar-fueled rock to stages across the globe. With his soulful vocals and ruggedly warm sensibilities, the Georgia-bred 26-year-old has attracted audiences young and old. “Gavin and I have been on the road about two weeks now,” said Phillips, during a phone interview last week from a tour stop in Albany, New York. “I’m also doing some one-off shows of my own. “I got a new band earlier this year for my headline shows in the spring and I have the same guys for this tour. We’re killing it and having fun. “None of these guys have recorded with me. My old band played on my last two records. This year, I decided to go with some new guys. “It was fun working with Ryan Hadlock,” said Phillips. “He showed me a lot. He has an incredible studio in an old barn. A lot of people have recorded there including Eric Clapton and Lionel Ritchie. “A lot of the songs on the album were about me and my wife – also other people I’ve seen go through things. It’s also about going through the legal stuff. It talks about the last few years – the hard times and the good times. Phillips offers a lot of variety in his live shows. Video link for Philip Philips – https://youtu.be/t2LgQyF4-FE. The show at the Parx Casino’s Xcite Center featuring Phillip Phillps and Gavin DeGraw will start at 7 p.m. Ticket prices range from $35-$80. Cecily, who will play a show in Philly on August 28, grew up in Washington, D.C. – the hotbed of American politics – so it’s not unusual that she was attracted to a career in the political realm. Growing up, she was also exposed to a lot of music. Her father was a jazz buff and her mother was a die-hard fan of Smokey Robinson. Cecily attended Swarthmore College as a political science major. 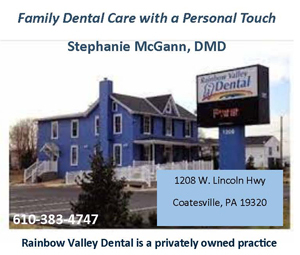 But, her love of music – especially her love of singing – emerged victorious. 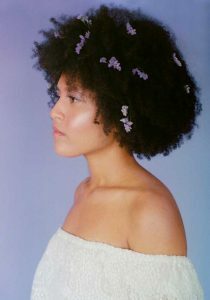 Cecily released her debut album, “Songs of Love and Freedom” on May 4 and is now touring in support of her new LP. The tour brings her to Philadelphia Tuesday night to perform as part of the Sound Check Series at Pub Webb (1527 Cecil B. Moore Avenue, Philadelphia,http://thesoundcheckseries.com). “When I was young, I always took voice lessons and sang in choirs,” said Cecily, during a phone interview Tuesday afternoon as she travelled from Rochester, New York to a show in New York City. “I went to college at Swarthmore and majored in political science. But, I was still always singing. My extra-curricular activity was always music-oriented. “During my junior year in college, I realized that singing was my true calling. I was at a concert at the Sound Check Series and I realized that at that morment, I really wanted to be on stage. Her parents’ music tastes definitely influenced Cecily’s taste in music. Cecily – and the world – just lost one of her all-time favorites when Aretha Franklin passed away last week. Known for her sweet soprano, honest lyrics and pure vocals, Cecily brings her own vulnerability to each song, telling her story and hopes that, at the end, the audience feels vulnerable enough to tell their own stories. On this project, she has collaborated with several DC-based producers and musicians, including Aaron “Ab” Abernathy, Diggs Duke, Drew Kid, and Columbia Nights members Jason “Brother Spanky” Edwards and John Daise. Cecily, a Strathmore Artist-In-Residence, presented her album release concert at her opening performance at The Strathmore Mansion on May 9th. In 2017, Cecily and her band were invited by the US Embassy to perform in Colombia at the VI Annual Mompox Jazz Festival. While there, Cecily also presented a masterclass for local vocal students. Video link for Cecily — https://youtu.be/NQ_ZxVl94lI. The show at Pub Webb, which has Bree and The Reeds as the opening act, will start at 9 p.m. Ticket proves range from $10-$25. On August 28, The Chamanas’ Jarritos-sponsored “Super Good Tour 2018” touches down locally for a show at PhilaMOCA (531 North 12th Street, Philadelphia, 267-519-9651, www.philamoca.org). 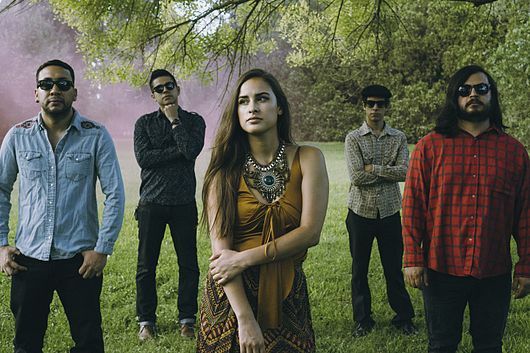 The band utilizes a unique combination of various styles and genres ranging from traditional Mexican folklore, Pop, Brazilian Bossa Nova, Indie, Danzon, among other obscure and synthetic sounds. As a result, they are able to create a musical connection between two countries. The border between El Paso, Texas and Ciudad Juarez, Chihuahua has given birth to this band, who represent the culture of this metropolitan border and transmits it through their music. “We’ve been together approximately four years,” said Calderon, during a phone interview last week from a tour stop in Albuquerque, New Mexico. “Me and Hector worked out of Sonic Ranch Studio, which is this great studio located on a pecan farm. We were in the studio doing music and tyhen we started to play live shows. We spent eight months in the studio working on our chops. “We have a lot of different influences in the music we make – Ranchero, Bolero, Son Huasteco, Serrucho, Norteño. I’m also influenced by bands like Flaming Lips and Portishead. Hugo’s songwriting is more traditional Mexican. We use Norteño more in songwriting than in producing. It’s like traditional Mexican with drum machines and synthesizers. 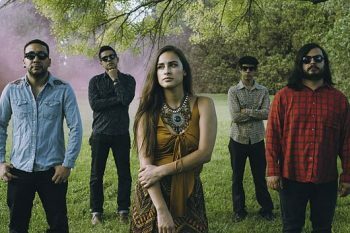 On July 20, the Chamanas released NEA II,” a deluxe version of their acclaimed 2017 album, “NEA.” The new album updates the band’s 2017 sophomore album with five new tracks, including their first ever English-language single, “La Verdad”, along with five songs from the original LP. Video link for the Chamanas – https://youtu.be/9XofOn0R. The show at PhilaMOCa will start at 8:30 p.m. Tickets are $15.